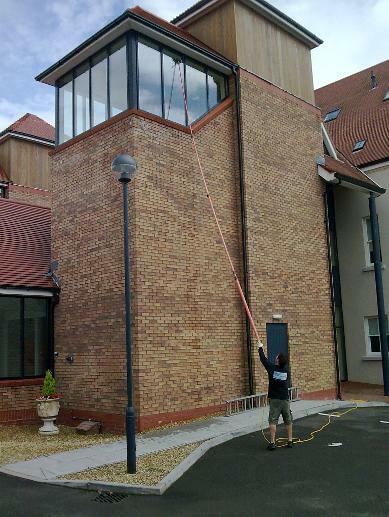 ATS Window Cleaning is currently equipped to clean high level windows up to 8 Stories. 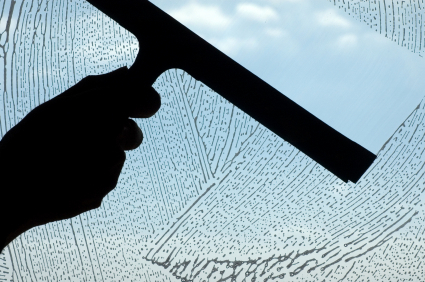 Traditional - this is a conventional wash and squeegee method, mainly used for ground level retail windows. Reach and Wash - We capture and filter rain water, de-ionise it, make it 100% pure, apply it to the window with a purpose made soft bristle brush on a telescopic Water Fed Pole, agitate and remove the dirt then rinse it with the Purified Water, leaving a completely clean window with no dried streaks. 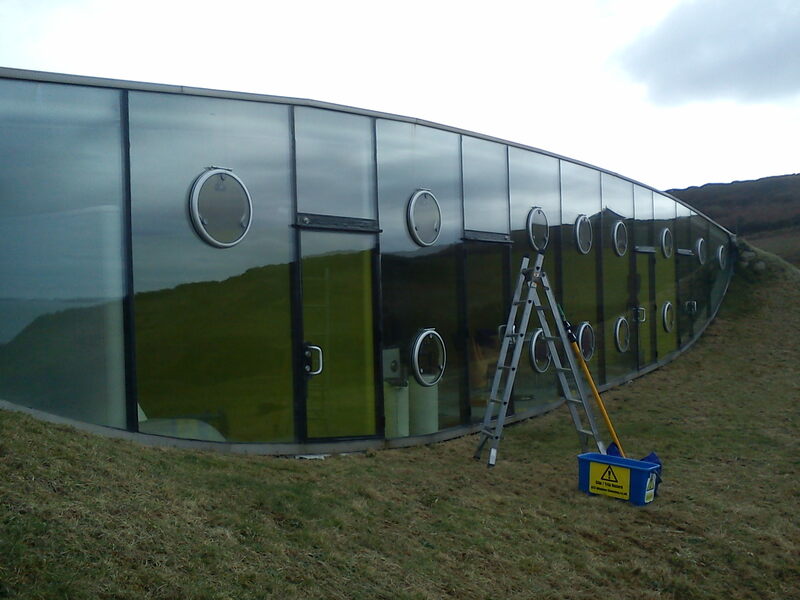 We are able to clean windows up to 70 feet safely from the ground, hence adhering to the Work At Height Regulations 2005. We work safely on Commercial and Industrial and domestic premises in Carmarthen, Haverfordwest, Milford Haven, Pembroke and Tenby. or fill in the 'Contact Us' form.